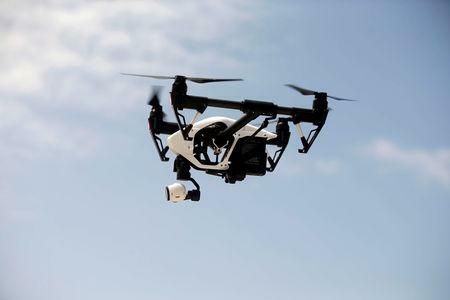 SHANGHAI (Reuters) - China's SZ DJI Technology Co Ltd, the world's largest maker of consumer drones, has discovered several cases of serious corruption at the company and expects 2018 losses of more than 1 billion yuan ($150 million) as a result, it said on Friday. The company said it was investigating the cases, which came to light during routine quality control in 2018, and that it had handed a number over to the authorities. "DJI condemns any form of corruption strongly and has set up a high-level anti-corruption task force to investigate further and strengthen anti-corruption measures," it said. "A number of corruption cases have been handed over to the authorities, and some employees have been dismissed," it added. The state-run China Securities Journal cited an internal company report on corruption, which said that more than 40 people at privately-held DJI had been investigated. Several Chinese technology companies have recently launched initiatives to stamp out corruption, and earlier this month Beijing-based ride-hailing giant Didi Chuxing said it had dismissed more than 80 employees in 2018 over corruption. DJI's human resources department was quoted by the newspaper as saying it employed 12,000 people at the end of 2018 and expected to grow to 14,000 by the end of the year.